Hadiya was badly burnt when she was very young. The family shared a small apartment in Lebanon. Her mother placed boiling water on the table, and went to help her son, who had started crying. Hadiya, who was just a baby at the time, crawled over to the table and pulled the water off the table and over herself. Hadiya has painful burns on her face and her arms. 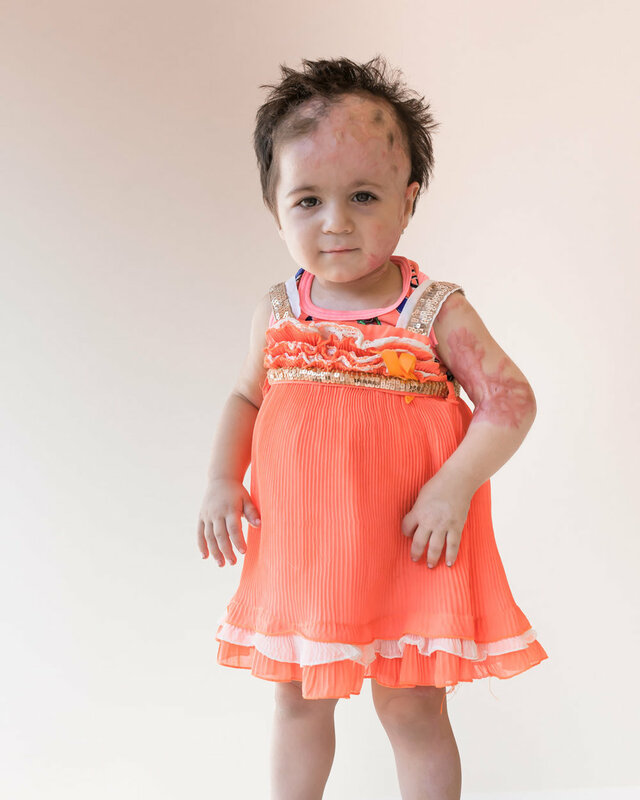 When we brought her in to meet our team of doctors at AUBMC, they said that the scarring could restrict her ability to move as she grows, and so recommended CO2 laser sessions on the burns. This would soften the skin and make it more malleable as she grows. This treatment was paid for by your donations. There are many other children just like Hadiya who need our help today. Please donate.